The Philippines continues to streamline the process for Starting a Business and Paying Taxes and Social Payments. 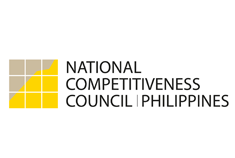 The Ease of Doing Business Task Force, composed of the National Competitiveness Council, Departments of Finance (DOF), Trade and Industry (DTI), Interior and Local Government (DILG), Bureau of Internal Revenue (BIR), Securities and Exchange Commission (SEC), Social Security System (SSS), PhilHealth, PagIBIG Fund, Landbank, Development Bank of the Philippines (DBP) and the Quezon City Government has announced additional streamlining for starting a business and paying taxes and social payments. Government agencies have simplified the procedure on business registration and starting a business. Last April 2015, SEC rolled out its Integrated Business Registration System (IBRS) for corporations and partnerships. This one-stop shop enables companies to get their SEC Registration Number, Taxpayer Identification Number (TIN) and Registration Numbers for SSS, PagIBIG, and PhilHealth in a single transaction, within the day. This has significantly reduced the number of steps and days to start a business. Originally available at the SEC Head Office, the IBRS service was expanded to selected malls. It has since been expanded to SEC Tarlac and will soon be opening in SEC Cebu, SEC Davao, and SEC Cagayan de Oro. A total of 23,128 companies have incorporated at the SEC under this system from April 15, 2015 to March 15, 2016, with over 99% having received their registration papers in one day. At the local level, the Quezon City Government has streamlined its procedures through an online portal where applications for businesses can be accomplished. Through this system, the number of days and steps to process business applications was reduced from six days to two days. Moreover, taxpayers can remit their payment for real estate and business taxes through online banking with Landbank. Quezon City is home to over 65,000 business establishments. These reforms were the result of NCC’s Gameplans3.0 and 4.0, a strategy to simplify government transactions related to the Ease of Doing Business, as measured by World Bank- International Finance Corporation through the annual Doing Business Report. In the past five years, Philippines has made steady gains in the Doing Business Survey. It ranked 148th in 2010 and gradually rose to 103rd in 2015, a 45-country improvement during the five-year period. To download files proving these reforms click here.